The Granite Gurus: FAQ Friday: Is a Vessel Sink Practical in a Master Bath? 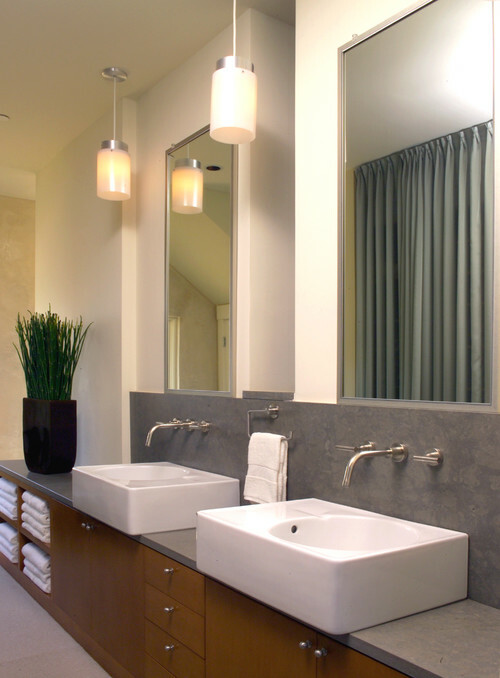 FAQ Friday: Is a Vessel Sink Practical in a Master Bath? "I'm remodeling my Master Bath. I've totally been inspired by a lot of the pictures you've posted on your blog, especially the Whiteout Wednesdays. I'm doing dark espresso colored cabinets with Calacatta Gold marble for the countertops, flooring and shower tile. My question is, I love the look of vessel sinks. I think they add just one more beautiful element to a bath. I'm worried they are not going to be practical though. Have you had clients hate their vessel sinks in Master Baths?!?" Thanks for the question Sharon. I love the look of vessel sinks as well. I think you can find some really beautiful sinks and when you've kept everything else in the room relatively simple, they are a great way to punch up the design of the room. This being said I will tell you they aren't the most practical sink in the world. I don't think I've ever recommended or spec'd one for a Master Bath. 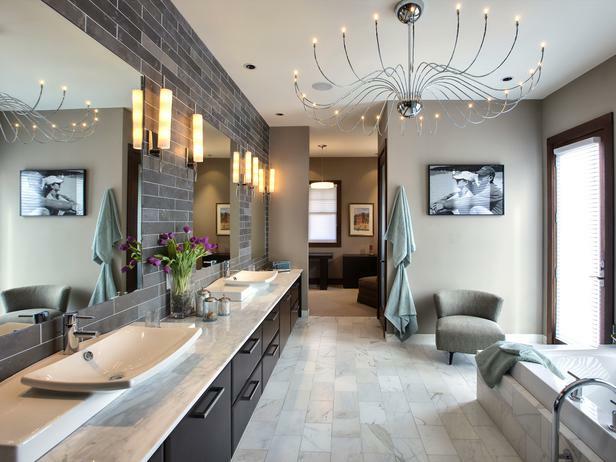 I'll suggest them for Powder Baths all day long, but the daily use of a Master Bath is a different story. For the Master I'd recommend using an undermount sink. They are easy to keep clean and to clean around. Plus, they give you more counter space! If you still want to use a vessel sink I have one big suggestion....don't do a glass sink in a Master Bath! 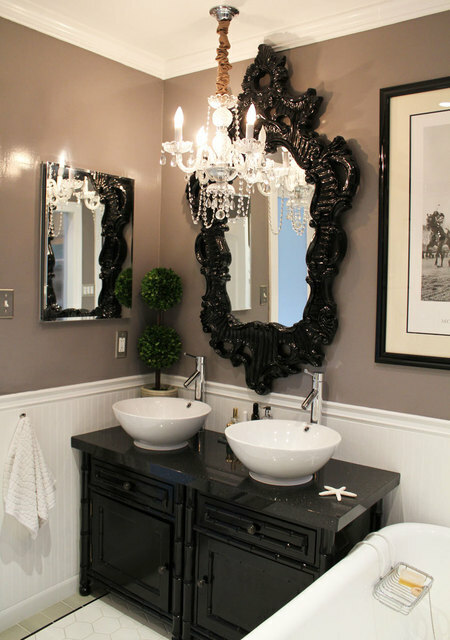 Keep the glass vessel sink for the Powder Bath. One last thing to think about when using a vessel sink in a Master Bath is the height. Make sure the top of the sink is not too high once the sink is sitting on top of the countertop. It will be a pain and a mess to wash your face and brush your teeth in a sink that sits too high. Good luck Sharon, hopefully this helps! If you have a design or stone question you'd like to see answered here on FAQ Friday send me an email.